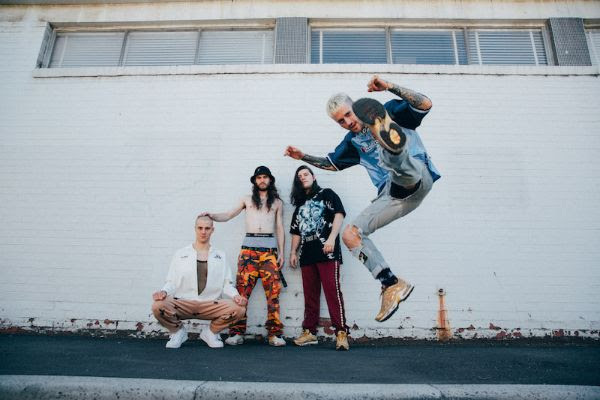 Ocean Grove returns to action with a brand new single, titled "Ask For The Anthem". The Australian outfit has premiered the video for the track, revealing Twiggy Hunter as the new bass player while Dale Tanner assumes full-time the role of the frontman. The video, directed and edited by the band's longtime collaborator Thomas Elliott, features Ocean Grove at their quirky and creative best. "We set out to experiment with some new sounds and styles", says Dale. "It is by far the most time and energy we have invested into any one song. And make no mistake, this is not a song about being cool and getting the girl. Look closer".